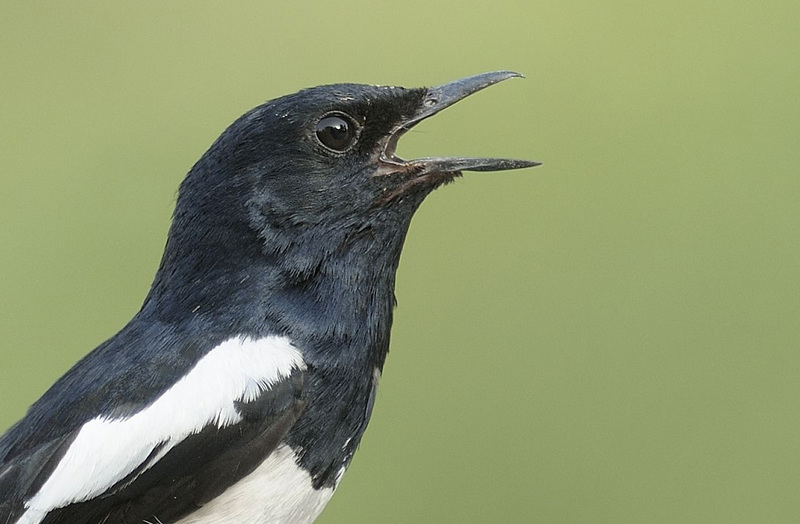 For me the most lovable trait of the Magpie Robins is their singing abilities. 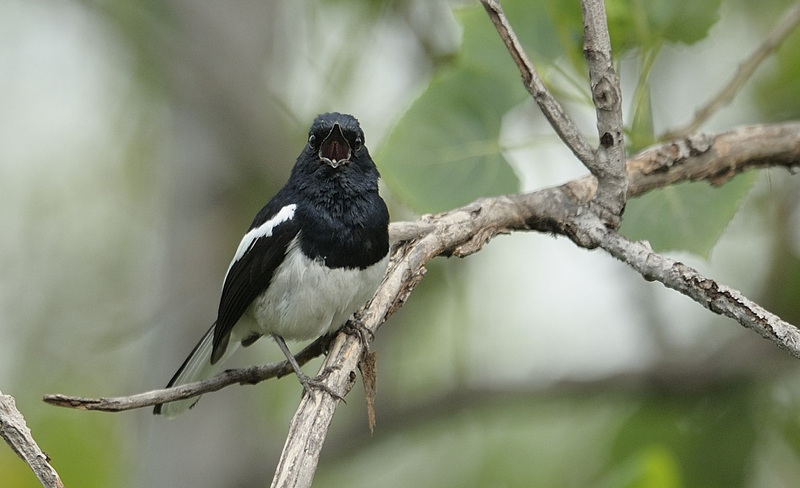 Male Magpie Robins sing loudly from the top of trees or other perch during the breeding season. This species is approx 19 centimetres long, including the long tail. 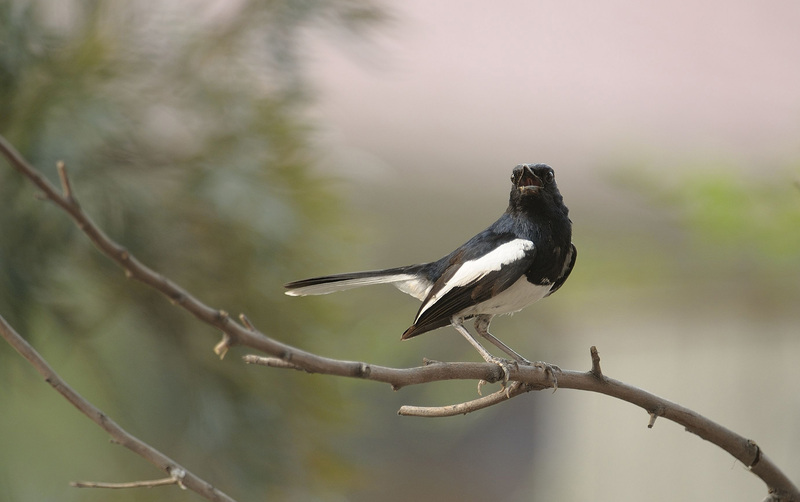 The male has black upperparts, head and throat and a white shoulder patch. The underparts and the sides of the tail are white. 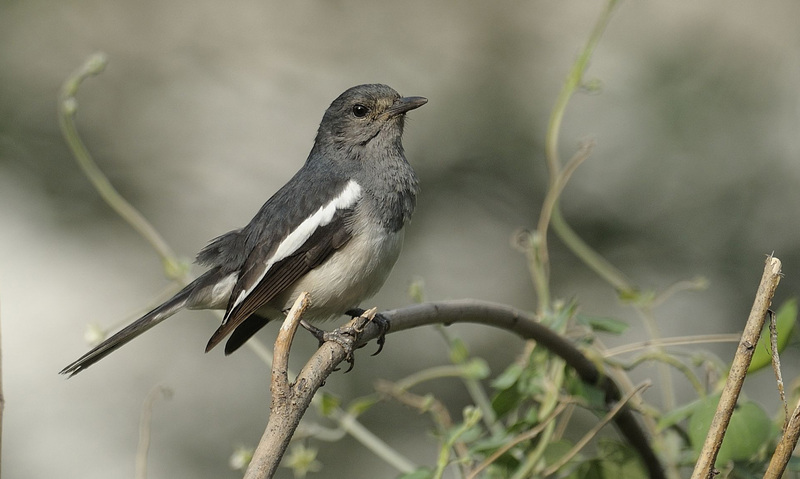 Females are greyish black. Young birds have scaly brown upper parts.